A world class, state of the art high dependency ICCU incorporating the most technologically advanced patient monitoring systems available, make this a model of excellence within the NHS. 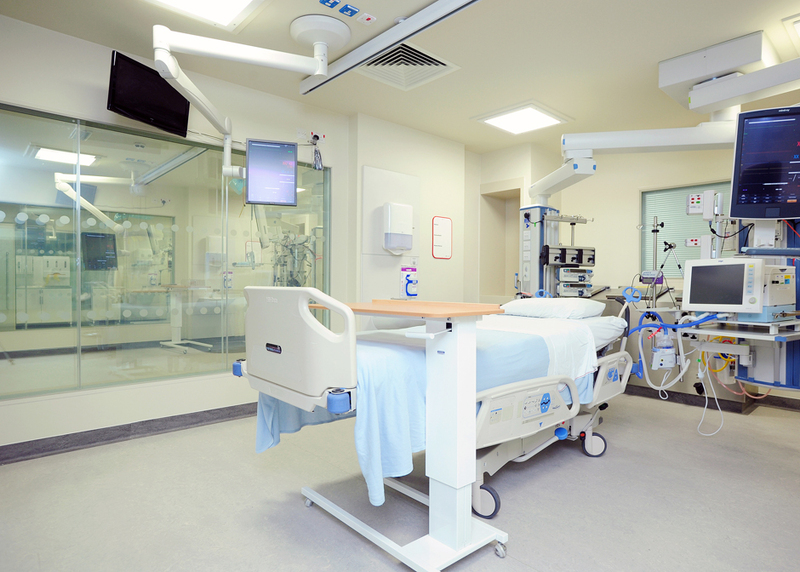 From post-op beds to isolation areas, the most vulnerable patients are cared for here. 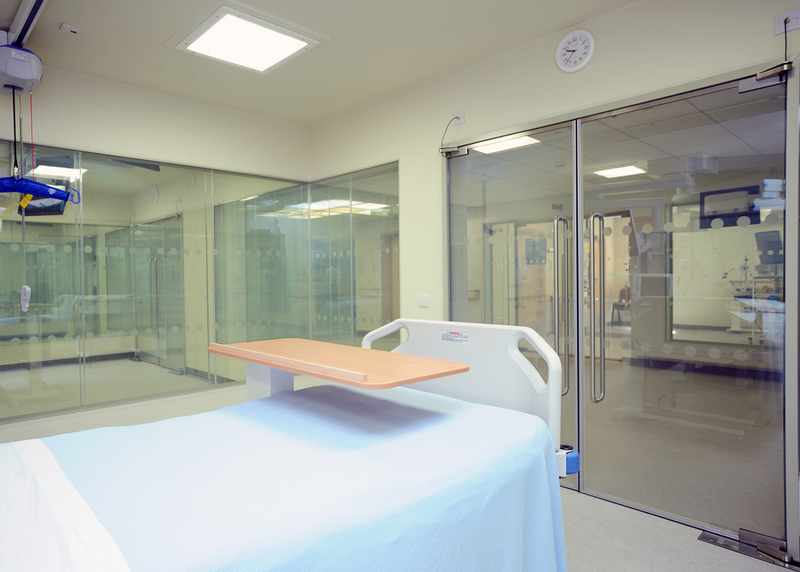 The challenge was to provide a partition system that allows for monitoring of patients while also protecting their privacy, meet the exacting hygiene standards of the Royal Sunderland Hospital, and reduce the risk to patients of cross contamination. 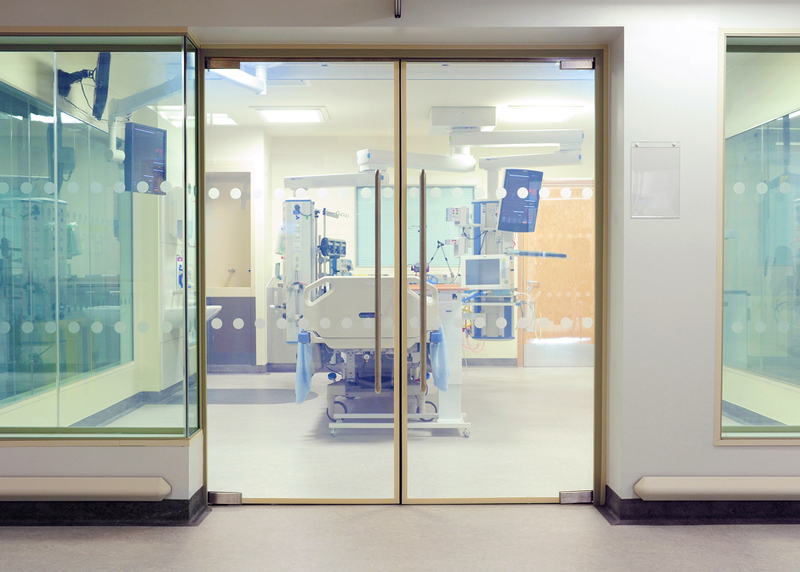 Toughened panels of smart glass create a smooth and seamless partitioning system along the corridors of the ICCU and in double doors entering each ward. 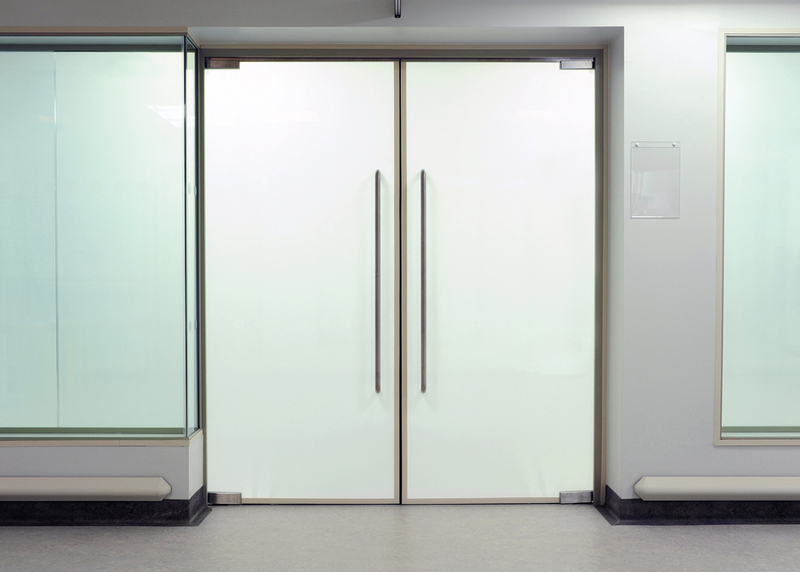 Staff are free to monitor their patients without compromising their privacy or dignity. 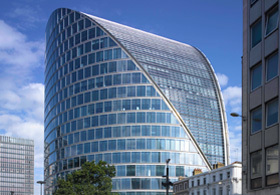 However, the suitability of Smartglass to the hospital environment doesn’t end here. 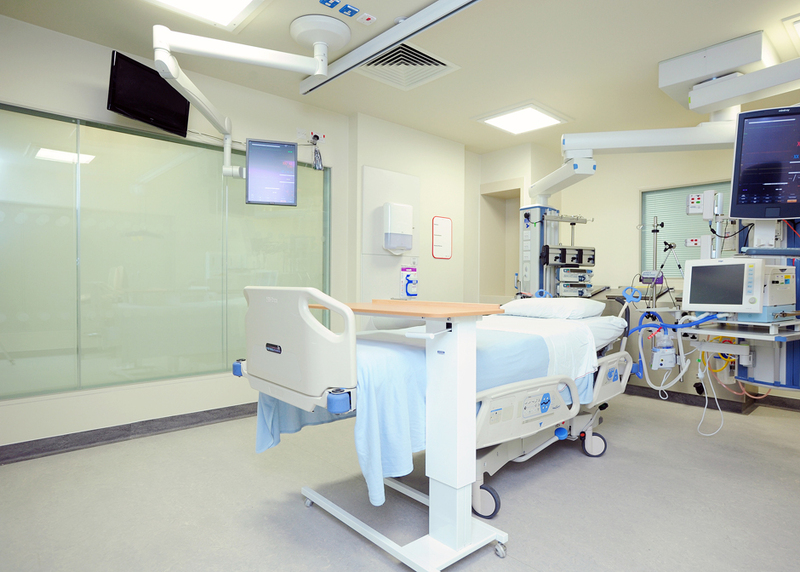 Research has shown that the spread of superbugs such as MRSA is significantly reduced by the presence of sheer, easily cleaned surfaces. 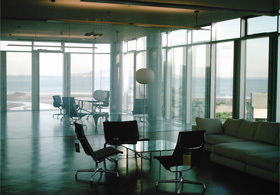 Conventional privacy solutions such as blinds and curtains can easily become contaminated with drug resistant bacteria, in one case 43% of curtains tested were found to be contaminated. This poses a serious risk to all patients but particularly those in need of intensive care. 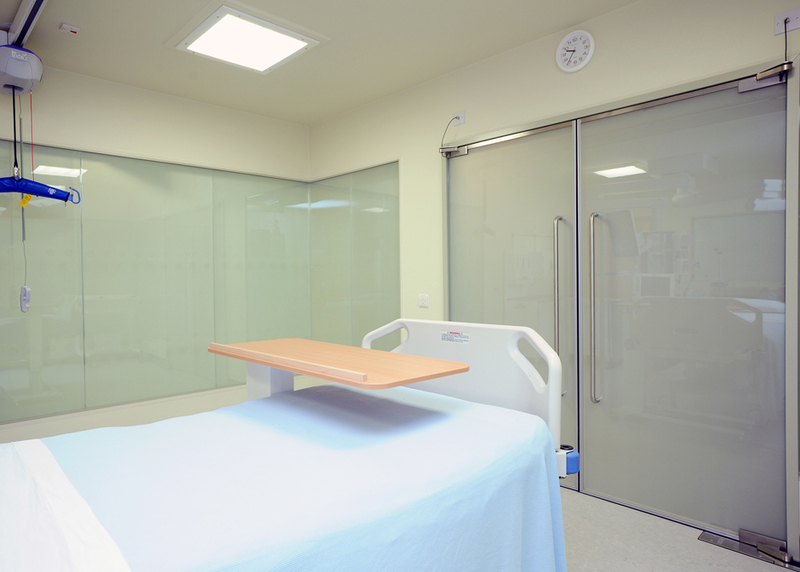 By replacing traditional fabric based privacy systems with Smartglass, patients benefit from a hygienic, easy to clean surface which prevents against deadly infections. An innovative yet simple solution.